Seriously, when is this season going to end? I feel like I am watching Big Brother Canada with their plethora of twists. The BattleBack, the Round Trip Ticket, Care Packages, and now a jury buyback? Enough is enough. What really pisses me off is how many HoH comps have been feed blocked this summer. 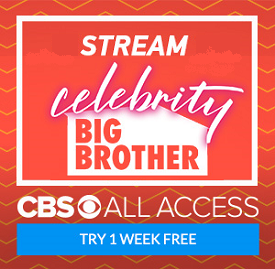 One of the big reasons to pay for the feeds is so that we can watch HoH endurance or other comps that are not completed on the Thursday live show. The twists are great. The comp to return should be a fair comp, not one sided physical. I think CBS inadvertently spoiled that Paulie didn't have the RT ticket because during the soaps today (that my mom watches intensely), the ad said "Tonight a bromance is broken up". Obviously, Corey was not going to leave. I would have bet a Paulie had the RT ticket the way CBS edited him this episode. They showed him melt down just a little but recover. He was as bad as Chima at different points during the week. I think CBS would be better off editing them to look like how they acted. I think it would get more live feeders because they get a better glimpse of what happens. People I know that watch the show but not the feeds are shocked by some of the stuff I tell them that the HG's do on the feeds.Someone like Paulie wasn't that well liked but CBS made him seem the greatest thing since Derek. Either way the feeds get really bad the next couple of weeks with the lower number of HG's. All they do is sleep and eat. When the backyard is open we get some action but when it's closed its like watching paint dry. Pauline and Z back together for the time they're in jury house. Count on it. It drove me nuts during Paulie's "apology" to Natalie that he said he was upset when he saw Zakiyah crying and blamed Natalie for it. What about all the time he made Z cry with his passive aggressiveness during arguments. I guess he is the only person allowed to make her cry.